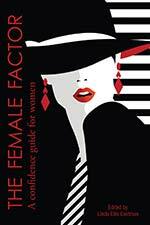 "Spanning Generations As We Journey Ahead"
Joanne Flynn, Managing Director and Founder of Phoenix Strategic Performance, recently co-authored the book, The Female Factor: A Confidence Guide for Women. Her 3-part chapter of the book entitled, “Spanning Generations as We Journey Ahead,” focuses on the issues of women in the workforce over the past 50 years, looking at what has changed, what has not, and what women can do to move their careers forward. Simply fill in your information to access your complimentary copy of the book chapter, "Spanning Generations As We Journey Ahead."